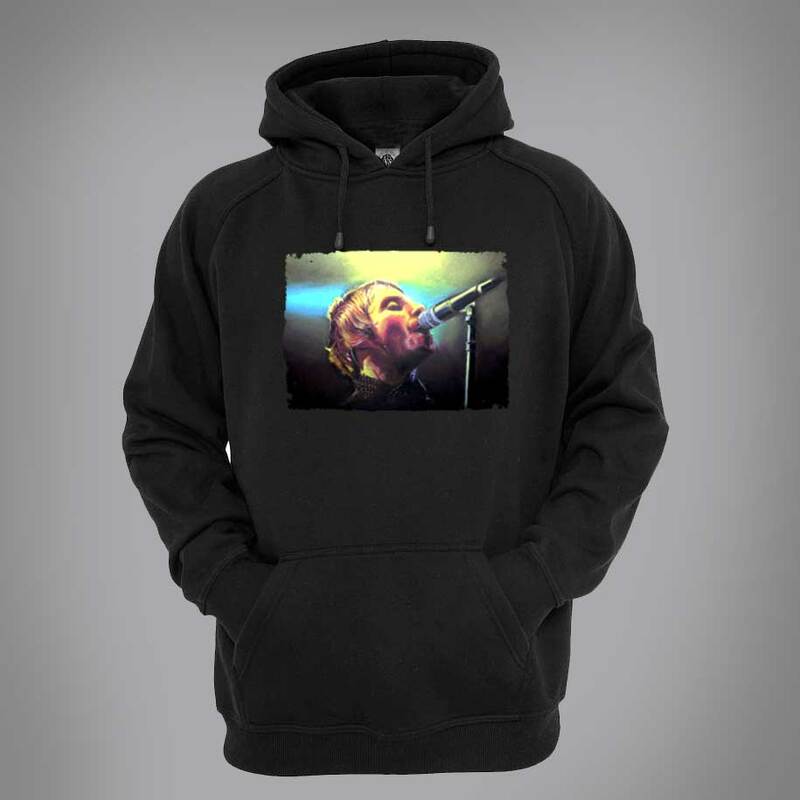 This Liam Gallagher psychedelic hoodie is available in a wide range of colours and sizes and is printed using the newest direct to garment printing methods. Liam Gallagher (born 21 September 1972) is an English musician and singer-songwriter, formerly the frontman of rock band Oasis and currently of the band Beady Eye. Liam Gallagher’s erratic behaviour, distinctive singing style, and abrasive attitude have been the subject of commentary in the press. He remains one of the most recognisable figures in modern British music. Oasis evolved from an earlier band called The Rain, composed of Paul McGuigan (bass guitar), Paul “Bonehead” Arthurs (guitar), Tony McCarroll (drums) and Chris Hutton (vocals). Unsatisfied with Hutton, Arthurs auditioned acquaintance Liam Gallagher as a replacement. Liam suggested that the band name be changed to Oasis. This change was inspired by an Inspiral Carpets tour poster that hung in the Gallagher brothers’ bedroom. Oasis have been rumoured for a reunion in 2014 to mark the 20 year anniversary of their debut album “Definitely Maybe” – despite constant denials from both Gallagher brothers that they will get back together.